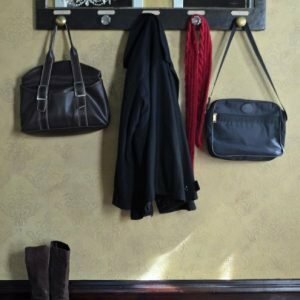 Use this unique wall mounted coat rack with doorknobs to organize your coats and bags! 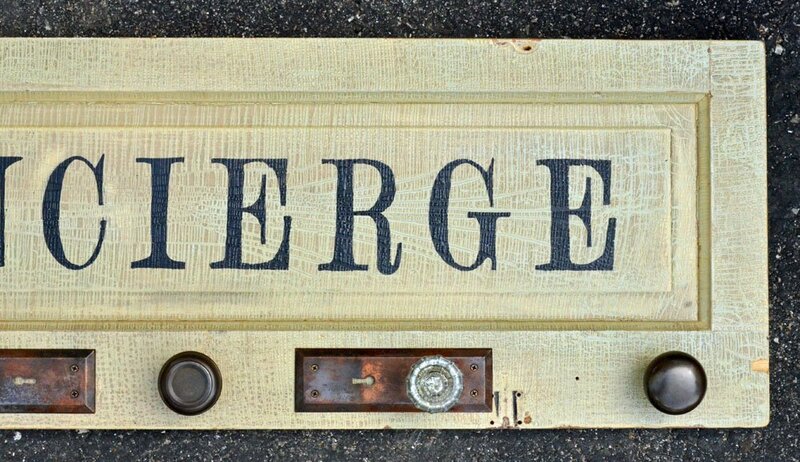 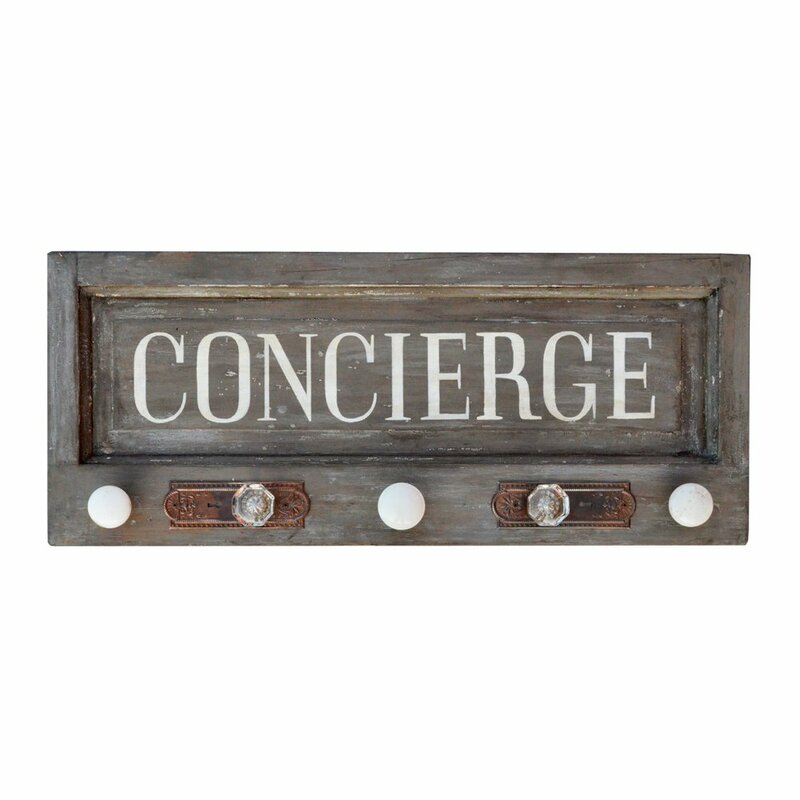 Each is hand crafted from a vintage door and hardware. 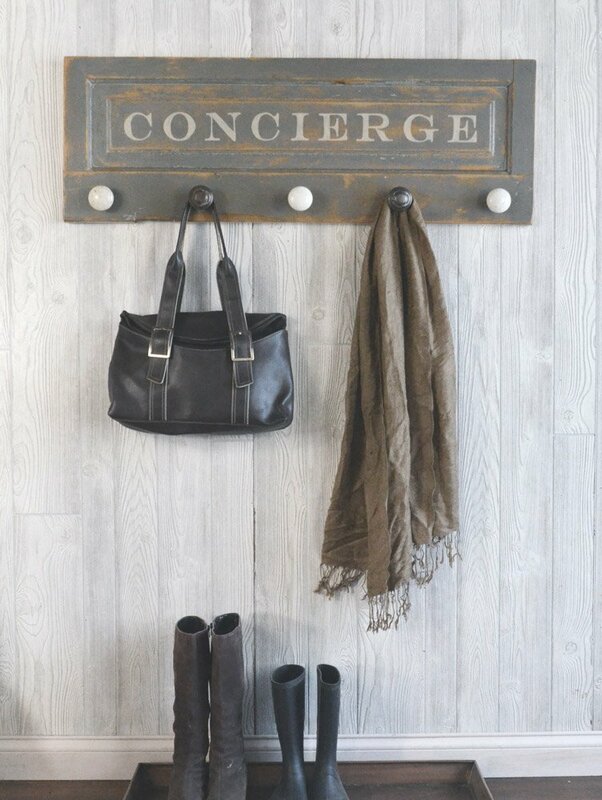 These coat racks add stylish foyer or mudroom storage. 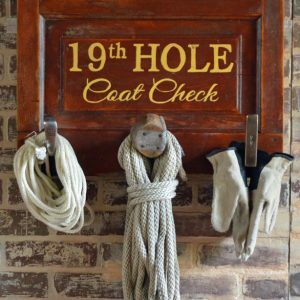 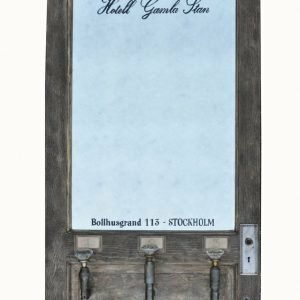 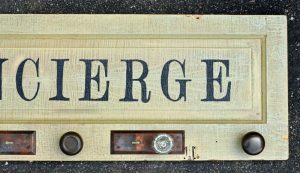 Assorted finishes and lettering styles are available – see photos for in stock coat racks. 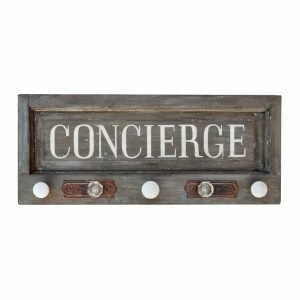 This wall mounted coat rack with doorknobs is made from a section of a vintage door and 5 vintage doorknobs. Add style and function to your foyer, entryway, or mudroom with these unique coat racks! 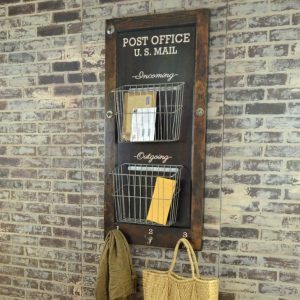 Installation: Mounts using two keyhole shaped slots routed into the back side.